Integra Software Services Career Jobs Opening 2018-2019 Integra Software Services Posts Download Application at www.integra.co.in. Integra Software Services Job has Recently Announced 2018 regarding Associate Software Engineer & Various Job Openings Interested and Eligible Candidates can Download Application Through Official website. 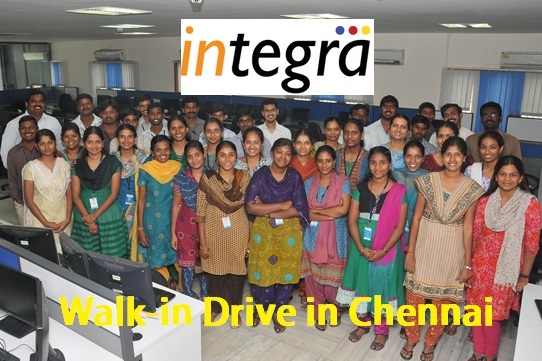 Very Urgent Job Opening Integra Software Services for Graphic/Web Designer @ Chennai. Salary: Rs: 2,00,000 - 7,00,000 P.A. UX/UI Designer with hands on experience in Mobile and website both platform. Graphic Designer with hands on experience in captivate, storyline, illustration, flash, articulate, Coral Draw, Photoshop from ELearning companies. Unity 3D developer with AR/VR experience. 2+years to 10years for Graphics, 2-6years experience in HTML5 Programming, 2-5 years exp in UX/UI designing. English is must for all. 200 Feet Road, Thoraipakkam, Chennai - 600097.